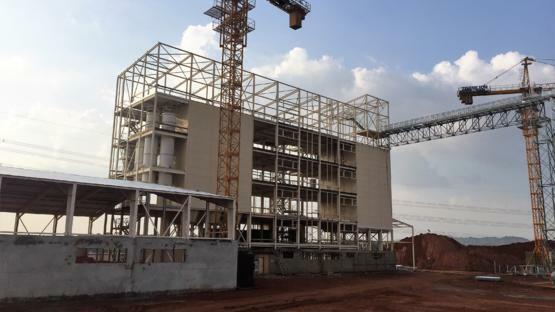 Uganda-based manufacturer of wheat and corn flour Mandela Millers stands for quality and wants its processing facilities to reflect this. They needed a building for a 300T/d flour mill and a corn mill of 2T/h. 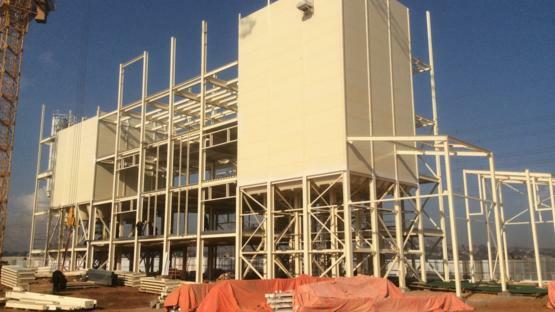 SCE was assigned to design and produce an efficient flour mill building. The customer contacted us because of our good reputation in the region and in the food industry. They were impressed by our innovative and efficient way of constructing flour mills. Our square silos can be easily integrated in any production unit. Apart from the flour mill, we also designed and delivered the intake tower for the reception and cleaning of the grains. Mandela Group’s silo building consists of 22 square bins for raw materials and finished flour. We provided the customer with the integrated steel and silo construction, including insulated sandwich wall cladding. The installation took 7 months and the co-engineering with the machine supplier resulted in a very efficient footprint and a building which is already ready for expansion. “This flour mill building makes us unique in Eastern Africa. SCE promised us quality and that is exactly what they supplied us with", says our customer.